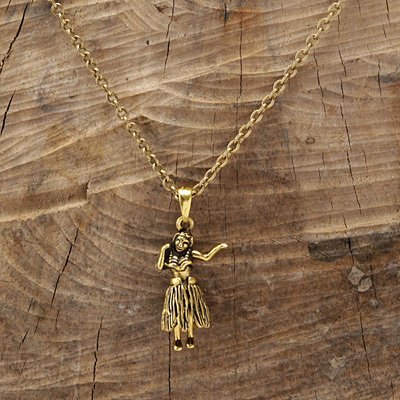 This adorable charm can do the hula! Her legs swing back and forth! This charm is perfect for summer or as symbol of a wonderful vacation.